In A Better Way to Teach Bunting Part 1, I explained why I think the way most people teach bunting is fundamentally flawed and laid out a different approach to teaching and evaluating the bunt. 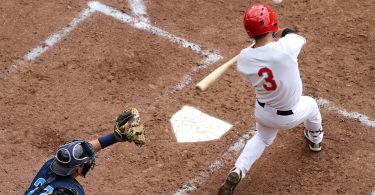 In this article, we will expand on the 3 major objectives of this new approach to bunting, explaining in detail how to simplify the bunting task for hitters, how to simplify the way you teach bunting and get rid of the mechanical jargon that clouds your hitters minds, and explain how first bounce bunting provides better and more immediate feedback for bunters in any training environment. Lastly, we finish up with some of our favorite bunting drills. Your bunters should have one goal and one goal only. That goal is to have the first bounce of the bunt land in a circular area (think Hula Hoop sized circle) that starts 12-18 inches in front of home plate. This gives them a simple, manageable task that they have complete control over. There are very few interpretations of how to get a pitch to deflect off the bat and land in such a specific space, and this will help to declutter the hitters’ minds as they try to complete the task. As a coach, it is easy to move the circle around, reduce the size, or make other adjustments. You can even give the players different circles for different goals or have a series of circles for different types of bunts. The main point remains that bunting becomes a simple game of target practice with immediate feedback. It is easy to demonstrate that if the first bounce is in the desired location, the results will follow. Instead of trying to account for variables outside of their control (where the ball ends up, what spin it has, how much the batter should deaden the ball with their hands/grip), all your batter has to do is bunt the ball so that the first bounce hits in the desired area. That’s it. The rest of the issues take care of themselves. The ground deadens the ball, side spin becomes a non-factor, the task forces the bunter to stay on top of the ball, and as a result, runners on base can read down angle immediately and get great jumps. 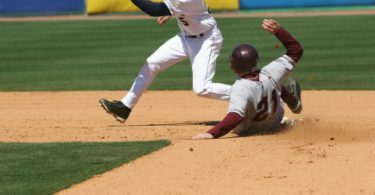 The most beneficial result may be that due to the angle off of the dirt, the chopping ball doesn’t gain ground towards the infielders as quickly as a rolling ball when they close on the bunt, giving your batter a better chance at beating it out. Sounds pretty simple, right? It is. 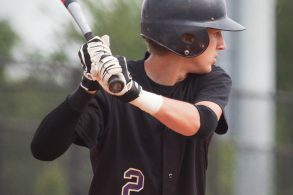 When a hitter is going well, he steps in the box with an approach and an objective, but while in the act of hitting is in a thoughtless state. You often hear hitters say they are “in the zone” or on “auto pilot” when they are hitting well. They know their swing so well and have taken so many reps that they don’t have to think about anything in the box. 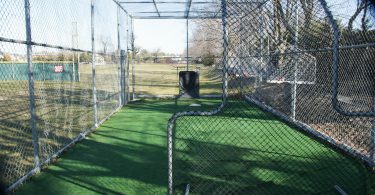 As coaches, we should strive to have our bunters in the same state of mind, and that starts with changing the way we teach and talk about bunting. When we tell our players to bunt, you can often see their heart skip a beat and mind start to race with what is likely mechanical reminders. Don’t believe me? Ask them what their thought process is on a bunt. The vast majority will talk mechanics. This simply doesn’t happen as often when batters are swinging away, and we want to mirror this mindset when bunting. There are two major reasons why our bunters can’t reach a thoughtless state. 1) They do not get enough game-like repetitions to be comfortable. Even the number of bunting repetitions for ‘speed guys’ never approach anything close to the number of swings they will take; and 2)All the instruction they receive from coaches when bunting is about mechanics. In other words, our coaching is as much to blame for the over-thinking that occurs when bunting as anything. It’s unrealistic (and would be counter-productive) to work on bunting as often as hitting, so fixing the bunter’s cluttered mind starts with changing the way we talk about and teach bunting. The simple truth is this, perfect bunting mechanics does not equate to a perfect bunt, just as perfect swing mechanics does not equate to a home run. Yet, the first thing we teach or correct about bunting as a coach is mechanics. We are filling their head with the wrong stuff, not to mention making the mistake of trying to implement a one-size-fits-all stance/mechanics model to all our hitters. This is foolish for the same reasons as trying to cookie cutter your hitters. Each player moves differently and feels different things. 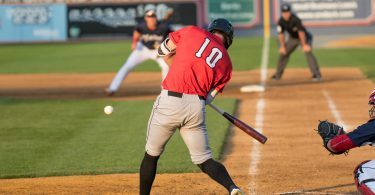 Why put a player into a position that is uncomfortable and filled with tension when a different setup can accomplish the goal of getting them ready to lay down a bunt? Have each of your players find a comfortable, relaxed, and balanced position where they can cover the strike zone and see the ball well. Rather than have a two day mechanical breakdown of perfect bunting mechanics, spend your time selling your players on the idea that getting a bunt down is a mindset. The mindset is that no matter what the situation or circumstances, the bunter has a simple task to execute and will get the job done. A great way to sell the bunting as a mentality or mindset is to put players in unorthodox positions (standing on 1 foot, standing on a balance ball, etc. 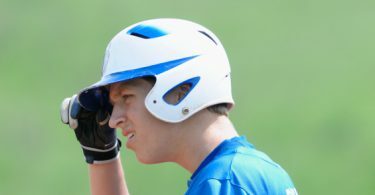 )and have them bunt. Hitters will quickly see it’s not their perfect mechanics that get the bunt down, it’s their will to do it and ability to focus on a simple task. Everything else is clutter for the mind. Forget the cones and dollar bills down the lines. There are major flaws in using the end location as a measure for a successful bunt. First, there are too many ways for the ball to get from the bat to the ideal ending place (Rolling, bouncing, chopping, etc.). Second, it takes too much time to get useful feedback between the bunt and its final resting place and you have to be on a field to know whether you truly accomplished your goal. Finally and most importantly, there are too many variables out of the hitter’s control that factor into the perceived success of a bunt (grass length, moisture, rocks, slope of the field, cleat marks, etc.). That makes objective feedback difficult to obtain when you are relying on the final placement of the bunt. The point is that no matter where you are bunting, the feedback for measuring a successful result should be more immediate, just like when you connect with a pitch and know you got it right off the bat or being able to find out your exit velocity right after a swing. When you bunt the ball into the Hula Hoop space designated for the first bounce, you know immediately that you succeeded in your goal. If you didn’t succeed, you have easy to understand and immediate feedback on what you need to do differently to get a positive result. The best part is that this feedback works no matter where you are bunting. If you are bunting in a cage where the net would interfere with the typical assessment of whether a bunt was successful, you now definitively know whether it was a success or not. By now, you should have a good idea about ways to try this bunting philosophy with your program to see if it works for your guys. Lastly, we want to leave you with some drills that can help your team become better bunters. For each drill, the task should remain controlling the location of the first bounce. Small Ball/Big Ball/Heavy Ball/Light Ball Bunting: Instead of changing the size and weight of the bat, change the size and weight of the ball or a combination of the ball and bat. The more variations you use, the more the player will learn to organize himself to complete the task. Target Practice: Move the location of the first bounce target and see if the hitters can still get the first bounce to be where they want. Slump-Busting Bunts: Have players who are slumping with the bat bunt for 30+ minutes or the entirety of practice. An auxiliary benefit to bunting is that if forces hitters to really see the ball. For a hitter who is “not seeing the ball well”, bunting can be a great cure because they must track the ball all the way to contact. 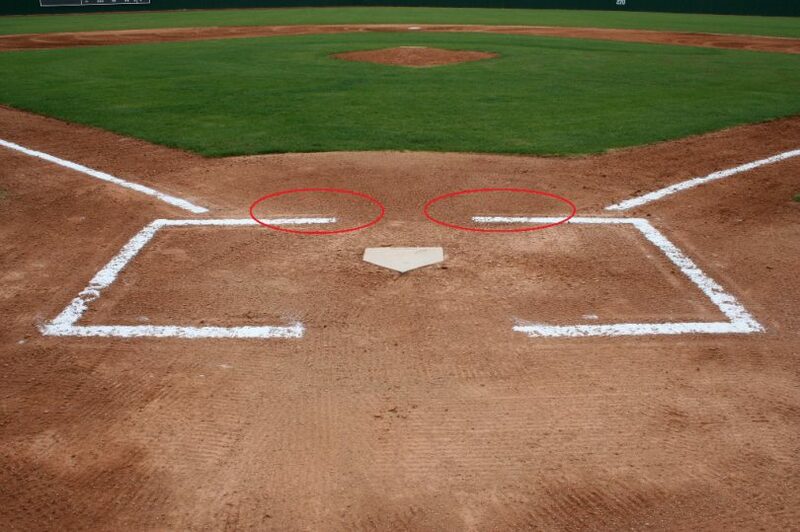 Team bunting: Set up a machine on the pitcher’s mound and put a defense out on the field. Paint or draw the desired Hula Hoop space for the first bounce and have bunters work each side. Pitchers can be set up on one side of the machine or the other to put pressure on the defense or offense. For example, pitchers on first base side with bunts down the third base line will challenge defense and pitchers on third base side with same bunts will challenge hitters. Keep score and make it competitive.